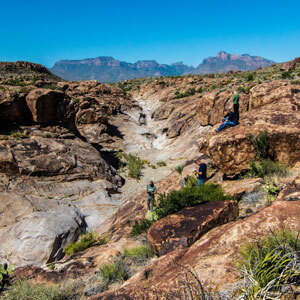 Few visitors realize just how immense Big Bend National Park is. It takes over an hour just to drive from one side of the park to the other and that's without stops on the paved road! Taking a tour means no driving for you—and we can make sure you get the most out of your time. On our tour, your party will be the only ones in our 4 WD Ford Excursion. With a knowledgeable guide, you'll be able to see where the bodies are buried and learn just how the forces of nature have carved out the park over millions of years. We will lead you to hidden vistas and share our knowledge of the flora and fauna. Our most popular tour, particularly with first-time visitors. 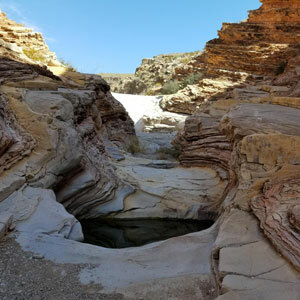 A great overall introduction to the geology and the history of the park, along with an up-close look of the plants of the Big Bend. 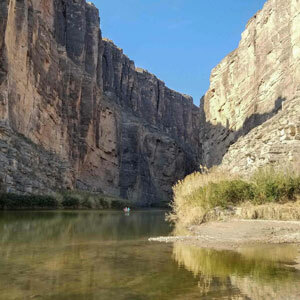 There is an optional hike into one of the most stunning sights of Big Bend: Santa Elena Canyon. Five hours, $350, plus tax. Picnic lunch included. Do you only have one day to see the Park? Or, are you driving a vehicle that can’t be taken up the Basin Road? 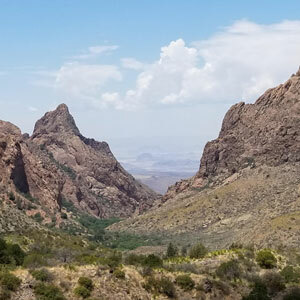 You can extend the Santa Elena Loop Tour and make it a seven-hour Highlights of Big Bend tour to include the Chisos Mountains, the “sky island”, with its unique trees and wildlife. With a little planning, you can even arrange to be there at dinner time with a spectacular view. $80 add on, tax/dinner charge not included. If you yearn to get out on the rough roads, to experience the primitive backcountry, we can help you get there! This road follows an ancient route to springs used for centuries and showcases some of the most fantastic geological formations in the park. A fantastic opportunity for photographers, especially in the morning light! 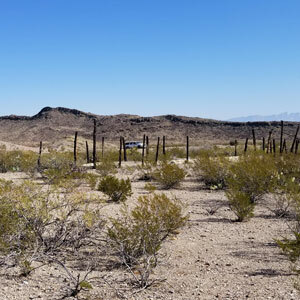 History buffs will want to hear the story of what happened that night in 1916 that lead to the death of two soldiers and a young boy and ushered in the occupation of thousands of soldiers in the Big Bend. Five-hour tour, $350 plus tax. Includes picnic lunch. Isolated far in the back of the park is a mine, abandoned since the 1940s. Here the Cinnabar ore was mined, heated up and processed to get mercury. 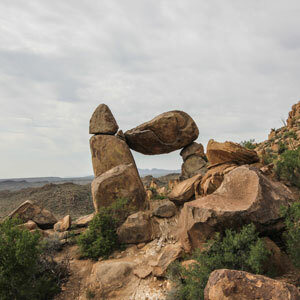 You’ll be able to travel back in time as you hike up the half mile to the remarkably well preserved old buildings and wander around the stacked-rock ruins. This is truly a unique spot! Add on to Glenn Springs Tour, to make a total of an eight-hour tour, $595, including lunch. 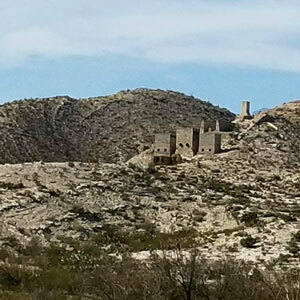 You'll be able to hike up to the remains of the buildings and the barred entrances to the mine shafts. Six miles down a bumpy gravel road is the trailhead to one of the most unique features of the park, Ernst Tinaja. Pronounced tin-ah-ha, a tinaja is a hole, formed by years of seasonal water pounding on the rock. There is a mile round trip hike down a sandy, uneven wash and a climb over some fantastic sandstone/limestone formations. Five-hour tour, $350, not including tax. Includes picnic lunch. Seven miles down a rough gravel road takes us to the trailhead for the Balanced Rock trailhead. The first ¾ mile hike is fairly easy-- but the last quarter mile is a challenge. Weak knees, balance issues or extreme fear of heights might not be a good fit for this hike, although the guide is always ready to help if you are willing! This is a low desert hike and may not be advised in the summertime. Four hours, $200, lunch not included (may be ordered extra).